The snow clouds returned this week like a thick grey blanket over the hills that stretched as far as I could see. Although I did slip over on some ice a few nights ago, which wasn't so nice. Rediscovering old music favourites. Fell In Love With A Girl came on shuffle and an instant dance party ensued. The simple joy in the most mundane things. No substitutions on our online shopping order? Wonderful! The crazy wind not catapulting our wobbly fence panel across into the neighbour's garden again? Phew! The bus arriving on time? Turns out there's a first for everything! Whenever I'm sat at my desk, Ralphie has started pawing at my feet until I pick him up and let him sit on my lap. It's cute until he kicks me letting me know he'd like to get back down again. You Are Not The One by Vestal McIntyre. It's a short story collection full of flawed characters in amusing situations and I adore it! As always, please leave links to your favourite blogs in the comments below, I'd love to have a read! I love these posts so much! 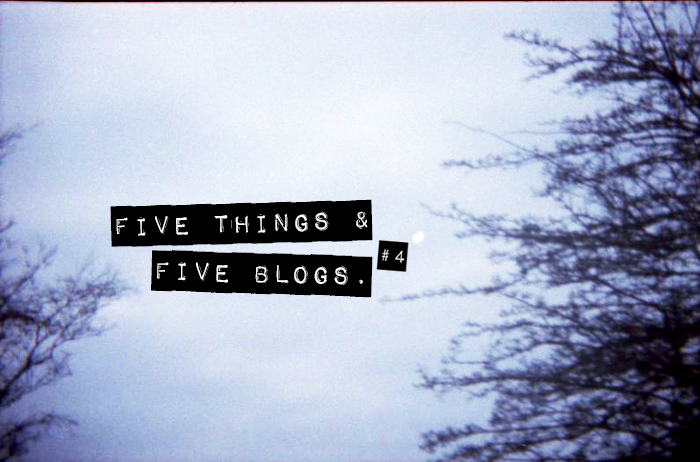 I was thinking of starting something similar because it's so lovely to share the blog love! Aww Ralphie sounds so cute! No substitutions on an online shop is definitely worth celebrating - I'm not sure it's ever happened before! You always have such amazing taste in Blogs Jennie - always look forward to this post! Wow thanks so much for the mention lovely!! I love the simplicity of mundane things too! Things like this make all the difference! Off to check out your list of blogs! Thanks for sharing! Love this :) And you make me want to have a little bunny pet, Ralphie is so cute! Ralphie is so sweet :) I love little stories about him. I now look forward to these posts of yours, you never fail to find me a new read! I love this idea, and Ally is just beautiful!